Many of our children and their families in our Community Care programmes are in need of basic day-to-day items. 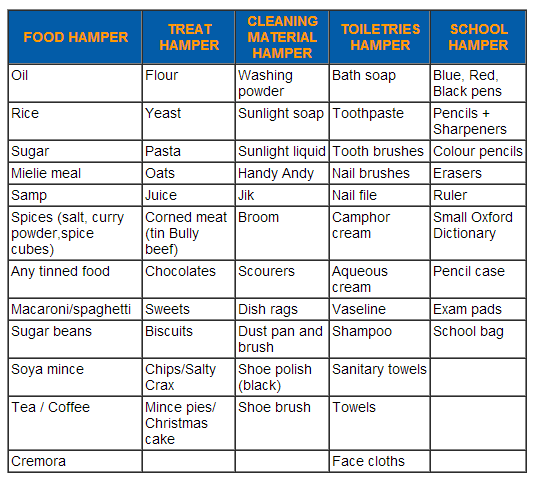 The hampers are a great way to help them through the month. If you are able to assist with these hampers, please contact us.